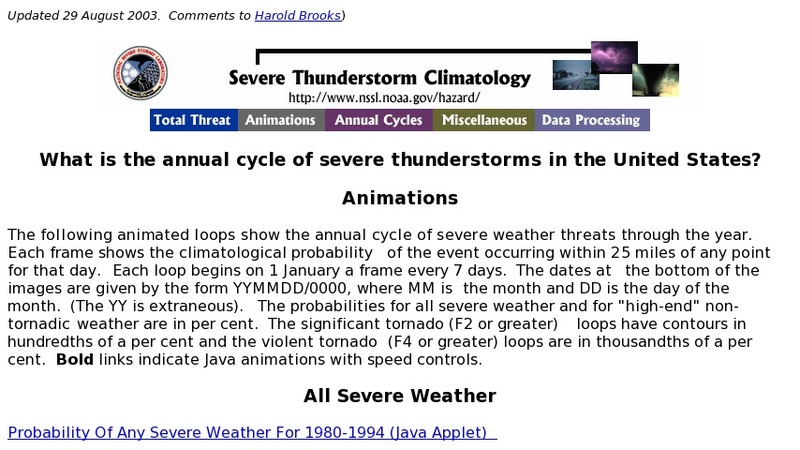 This collection of Java applets uses animated maps of the United States to illustrate the probability of severe weather for each week of an average year. The maps help to illustrate how the likelihood of tornados changes over the course of a year and how the chances of tornados vary by region. Maps are available to show the probability of any tornado, or the probability of only significant and violent tornados.